By now you’ve thought about your video equipment, the video blogging (vlogging) platform you’d like to use, and where you’re likely to film your vlogs. You’re ready to go! But wait. What about editing that raw footage before sharing it with the world? Certainly, many vlogs are filmed on the go and posted to the Internet with no editing whatsoever — and that is absolutely okay! But should you wish to polish your content before putting it out there, tons of tools are available to you to do so. Start by checking out the computer you already own. 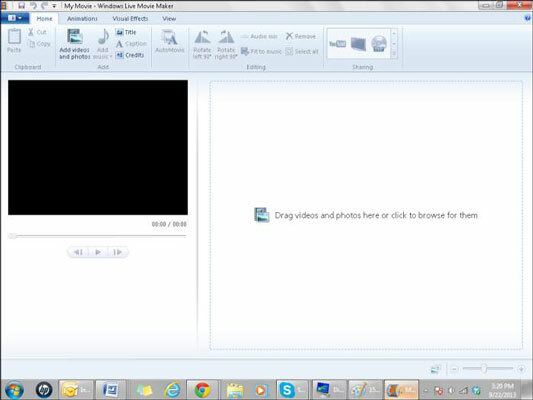 Your computer might have come with a program such as Windows Live Movie Maker or iMovie. These types of video editing programs are typically incredibly user friendly, with drag-and-drop features and even the ability to upload directly to YouTube. These standard editing programs also feature some nonstandard tools, such as ones that give you the ability to share directly to social media and add an underlying soundtrack. With just a bit of time and practice, your vlogs can feature captions, credits, and more! Focus on audio over video if forced to choose. Don’t go overboard with special features such as transitions. Keep your video length to an easily consumable period of time. Know how you want your video to look and sound before you begin the editing process.